A digital marketing funnel consists of the steps a prospect takes from being unaware of your brand to becoming a customer. This includes an ad, landing page, a free offer, an email sequence and, ultimately, a sale. Any business with a digital presence can capture leads and increase sales using a digital marketing funnel. As you build your digital marketing funnel, you will want to be sure that each step is optimized so that you have the highest possible conversions. Many small businesses don’t have time to analyze user data to accomplish this, however. Freshmarketer is a great solution as this easy-to-understand software includes analysis tools that will help your marketing funnel produce long-term, successful results. Its Garden plan is $99 per month when paid yearly with a free 30-day trial. There are three main parts of a marketing funnel: the top, middle and bottom of the funnel. Picture a marketing funnel like an upside-down pyramid. Your potential customers will start at the widest part of the funnel (top), and then with continued interaction with you via a sequences of emails, blog posts and free or inexpensive offers, they will work their way through each part, until they stop moving through the funnel by choice or they become a paying customer (bottom of the funnel). The top part of your funnel is the stage where your marketing efforts take a potential customer who is not aware of your business, service or brand, and introduce them to what you offer. This is done in several ways; advertising on social networks or websites that your target customer may visit; local event sponsorship; and speaking engagement or branding campaigns are all common methods of introducing someone to your brand. Once potential customers are aware of your brand, they can move to the middle of the funnel through additional engagement opportunities or offers. The middle of the digital marketing funnel is where you take a potential customer from no awareness of your business to interest. In the middle of the funnel, the goal is to get them to your landing page and then entice them to sign up for your lead magnet. This turns a potential customer’s interest in your business into a qualified lead. The middle of the funnel bridges the gap between the initial introduction and curiosity phase. When you have introduced a potential customer to your free content, you show them the value you can offer. This leads to the bottom of the funnel, where leads are converted to sales. The bottom of the funnel is where a potential customer decides to do business with you. This is called a sales conversion. In most cases, conversions are how you measure the success of your funnel. Now that you know how marketing funnels work, you can use these 10 steps to create your own digital marketing funnel. To start building your digital marketing funnel, you want to decide what service or product you are going to offer the customer to buy at the end of your digital marketing funnel. Starting in that the stages of your funnel will help you fill in the rest of your funnel. Your lead magnet, or “freebie,” is what you offer potential customers when they land on your landing page. This is what entices potential customers to click on an ad, visit your landing page and submit their contact information in exchange for something of value. The purpose of your freebie is to grab the attention and interest of potential customers by providing something uniquely valuable. This will entice them to move further along the funnel and take additional action. Common examples of freebies (lead magnets) include how-to guides, instructional videos, white papers, plug-ins or apps, ebooks and free media, like free-to-use photos. Your freebie doesn’t need to solve all your potential customer’s problems, but it does need to to be valuable information that will allow them to start seeing a solution to one of them. You may offer a wide array of services or products. However, for your funnel to work properly, you want to have laser-focus on what particular problem you are going to solve with this freebie. For your freebie offer to be seen as valuable, you want to avoid offering it in other places on your website. Your lead magnet must provide more in-depth information than anywhere else on your website. The automated email sequence is the what follows after a prospects signs up for a freebie by submitting their contact information. These emails, typically a series of three to five, will be delivered automatically during the course of about two weeks and show your prospect more about what your company offers. The first email your new potential customer will get should deliver your freebie and give them some tips on how to get the most out of it. In this email, you can also give them a brief introduction about who you are and what your business offers. This email is sent as soon as they sign up to your list. Now that your prospects have your freebie, you want to send them a warm welcome email. Your welcome email should remind your subscriber why they signed up for your freebie — what problem you solved or valuable information you offer. Additionally, this is a chance for you to let your prospects know what kind of communication they can expect from you moving forward. Tell when they can expect your emails, what types of content you’ll be sending them, why it will be helpful to them` and what types of offers you will be sending so that you build anticipation and awareness. This email is sent 8 to 24 hours after your freebie delivery email and is key to keeping your brand top-of-mind for new prospects. These emails should offer something that builds on the freebie they signed up for. 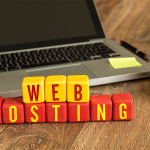 These can include links to blog posts that talk about the same problem that your freebie addressed, videos that show next steps, or even a downloadable audio file that would walk them through how-to projects that solve additional problems. Your case studies email should show the results of working with you from a customer’s perspective. Show the customer’s problem, how you solved it, and the result with as much detail as possible. This value email is another opportunity to offer free value to prospects, increasing their connection to your brand. Social proof emails include reviews or testimonials from current and past customers to demonstrate to your prospect that you are a reputable brand that customers like. The offer email is the one that lets prospects know what you have for sale. You want to state what you are offering to your prospects clearly and how it solves their problem. Make the buying process clear and easy to avoid discouraging people from completing a sale. The reminder email reminds prospects of your offer and creates urgency by making clear the offer has a deadline. You can reiterate social proof and case studies in this email to make the offer more compelling. 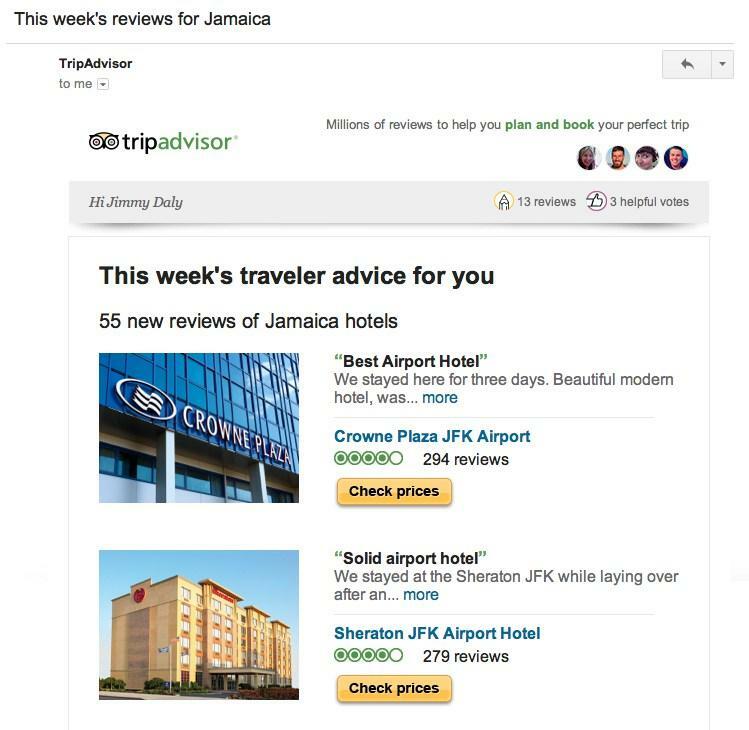 An example of social proof from TripAdvisor. Now, it’s time to sign up for the email service provider that will send your automated emails. It may seem unusual to create your email before signing up for your provider but, by creating the email copy first, you can plug them into your provider’s interface easily without getting bogged down learning a new system. For guidance on picking the right provider for your business, read our article on the 6 Best Business Email Providers for 2018. A landing page is a page your potential customers will land on when they first click on your ad. It is meant to build awareness, generate interest and entice them to give you their email in exchange for your freebie. This is the first step in your marketing funnel. To start creating your landing page, you want to sign up for a service that makes building and customizing your landing page simple and straightforward. Try either ClickFunnels or Leadpages. ClickFunnels allows for more custom branding while Leadpages is simple yet lets you do less custom branding. For a step-by-step guide on how to build a high-converting landing page, read our recent article. In order for someone to sign up for the freebie from your landing page, receive access to it and then start receiving your emails, you need to connect each element of your funnel so that it properly delivers your freebie and your email sequences. This means connecting your email service provider to your landing page and adding any necessary code for tracking to your landing pages. Both ClickFunnels and Leadpages have easy dashboards to let you deliver your freebie, connect your email service provider and add any tracking codes need so that once someone signs up the tracking, freebie delivery, email capture and email sequences will all be automated. Leadpages, ClickFunnels, Mailchimp and AWeber all have great videos that will show you how to connect each of these things correctly to be certain that they deliver properly to those who sign up. Now that everything is connected, you want to test that it works properly. You can put your own email into your landing page and be sure that your freebie is delivered and that your welcome emails send without any issues. You want to do this before you launch any ads and start getting traffic to your landing page. Test it a few times and have a friend or family member test it as well, so you can be confident that the funnel functions as smoothly as possible. Now, you want to start driving traffic to your funnel. There are multiple free and paid ways to do this, so test different approaches to see what will work the best. There are several free ways to drive traffic to your landing page, although many require hands-on monitoring. You can post about your freebie on your business pages in Facebook and LinkedIn groups. You can also use Facebook, Instagram and YouTube Live video to talk directly to your audience, discussing how beneficial your freebie is and why they should sign up to get it. You should also consider using hashtags in your Instagram post and tweets. Hashtags are just a word after a “#” that makes what you are saying discoverable by those who might be looking for what you have to offer. For example, if you are a photographer in the Dallas area, you could use the hashtag #DallasPhotography. Hashtags are popular on several platforms but are widely used on Twitter and Instagram. People ask many questions online these days. You can market your service and your landing page by answering some of them and offering a link to more information. The biggest website that allows a question and answer conversation is Quora. Sign up for an account on Quora, then search and see what conversations you can contribute to. Encourage those who sign up to receive your freebie to share your offer with friends by offering them additional free, upgraded content when passing along your offer to others. This “upgrade” would be something that complements your freebie. For example, if your landing page offers a guide on the “12 Tips for Cleaning Your Home with Essentials Oils,” then your freebie upgrade could be “5 Ways to Use Essentials Oils for Your Health.” Be sure that whatever your upgrade is, it addresses a need or problem for the prospect directly. Search engine optimization (SEO) is using specific language that makes your landing page visible to search engines like Google. To do this, you want to think about the keywords your potential customers would use when they are searching for what you do. Keywords are the words that someone types into a search engine when they are searching. For more information, read our What is SEO? article. Ads are the primary way paid way to drive traffic your landing page, but you can also pay to sponsor content that is distributed more widely. Pay-per-click (PPC) ads on social media sites like Facebook or search engines like Google allow you to target users based on their location, age, gender and interests. When setting up your ad, you have the choice of selecting the exact people that will see your ad. This means you are only targeting people who are likely to be customers. PPC ads can be expensive and can be confusing when you first get started, so consider hiring an agency or an individual from Fiverr to manage them for you. You will most likely get more for your money if you leave managing these types of ads to an expert. Sponsored content is the online version of traditional media “advertorials.” It is editorial-style content that is written and paid for by a business and placed on a website that their ideal client frequents. Sponsored content is a fantastic way to explain your product or services to your target market on a site that will add to your credibility as a business. Sponsored content is usually booked directly with the publishers, so if you know of a website or blog that your ideal client enjoys being on, you can reach out to that site directly to see about paying to place sponsored content. Loyalty in marketing means that a customer thinks of you as an ongoing solution to their problems, both for themselves and for others. When your customers are satisfied with your products and services, you’ll want to find ways to ensure they stay with you by creating loyalty. Make the most of this satisfaction to build advocates of your business who will happily refer others. Building loyalty is an important part of generating high value, recurring customers and revenue for your business. Research for Harvard Business %Review shows that even a 5 percent increase in customer retention can boost a company’s profits by 95 percent. Take some time to cultivate new ways that you can build loyalty with your customers. As your traffic grows, you want to see how well your landing page converts visitors and optimize to increase those conversions. Conversion means what percentage of the people who land on your page actually sign up for your freebie, putting them into your funnel. If you find that your conversion rate is less than 40 percent, consider making tweaks to the language or images on your landing page. You might also revisit the freebie you’re offering. Here are two others ways you can track user engagement on your landing page. By using a heatmap tool like Hotjar, you can see the actions visitors take when they visit on your landing page. This will allow you to understand where to place elements like images or your sign-up button better. It can also show you if people immediately decide to sign up for your freebie or if they leave your page open without taking any action. If your freebie isn’t irresistible, you may want to make some changes to captivate the traffic that lands on your page. A/B testing (split-testing) is comparing two different versions (A and B) of your landing page to determine which one performs better. There are several tools that automate the process of A/B testing, but one of the best to try is Crazy Egg. A/B testing, combined with the heat mapping tools, will allow you to build a landing page that your ideal audience finds captivating and irresistible so that they sign up for your freebie and enter your funnel. What Is the Difference Between a B2B and B2C Marketing Funnel? There is very little difference between the structure of business-to-business (B2B) and business-to-consumer (B2C) marketing funnels. Most of the time, however, a B2B sales cycle takes a bit longer because the cost of the product is usually higher and multiple people are involved in the purchase process. This means that B2B funnels and email sequences might be a bit extended with more touchpoints that a B2C funnel. What Is Marketing Funnel Analysis? Funnel analysis means learning and implementing path-to-purchase changes to increase conversion rates. You can read more in-depth about Marketing Funnel Analysis in this article How to Do Website Funnel Analysis in 11 Steps. 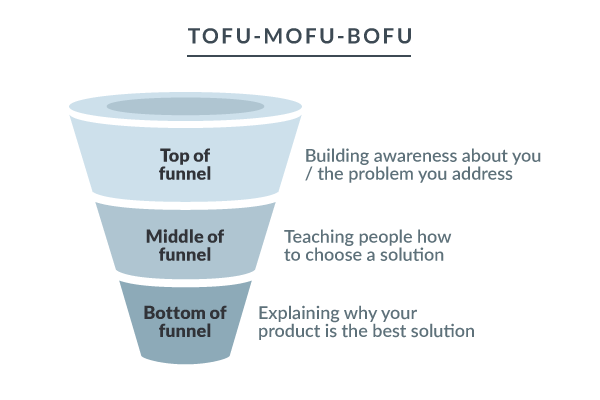 What Is a Funnel Marketing Strategy? A funnel marketing strategy ensures that you have all the tools and performance indicators in place to get the desired result from your marketing funnel. Marketing funnels are a series of steps that a prospect goes through to become a customer, from brand awareness through final conversion. When built correctly, marketing funnels increase qualified leads, visibility with potential customers and overall revenue in your business. 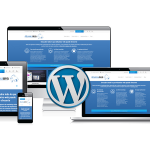 They are ideal for any business with a digital presence that wants to increase conversions. Once you have high-quality leads in your marketing funnel, you want to optimize your funnel to find areas of improvement to increase conversions. Freshmarketer is a small business software suite that offers the tools to perform optimization on your entire funnel, including heatmaps, session recordings, polls and feedback, form analysis, A/B testing, data dashboards and editing tools. Its Garden plan is $99 per month when paid yearly with a free 30-day trial.